CIS-157 is the distance learning class, and on-campus lectures are optional. You should be fine with your plans to occasionally attend the lectures. You should be taking CIS-123, Object-Oriented Concepts, as a co-requisite for this course. To make yourself comfortable with the student option requirements, please be sure to download and read CIS-157 syllabus . 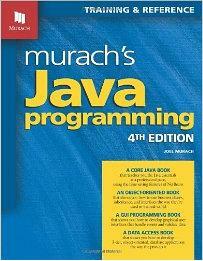 PUBLISHER: Mike Murach & Associates, Inc.
Variables, Classes, Objects and Methods - Ch 2, cont. Console I/O and Comparing Variables - Ch 2, cont.